Sri Sri Mangeshda is a direct disciple of Param Sadguru Sri Sri Mahavatar Babaji, at whose insistence returned to worldly life, to project how a householder can lead a normal family life and practice Kriya Yoga for spiritual progress. He initiates spiritual aspirants into Kriya Yoga – a simple, scientific and one of the fastest paths for spiritual progress. 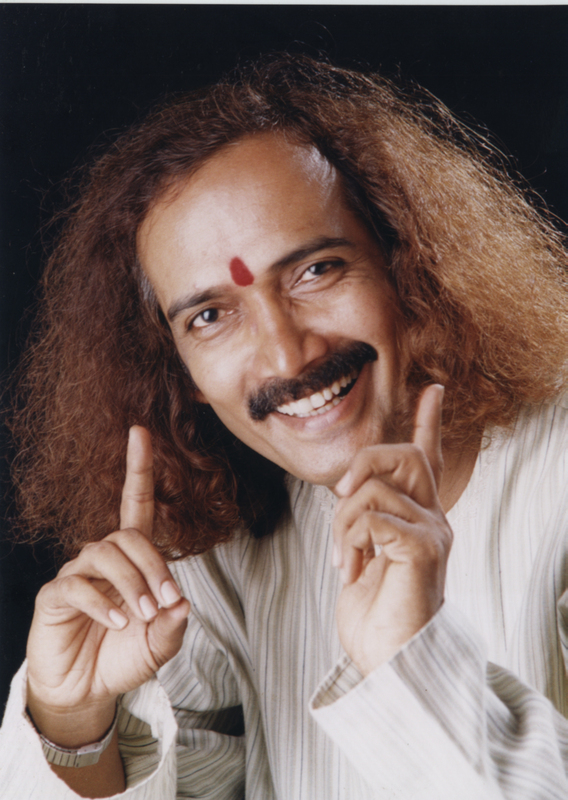 He conducts regular Kriya classes and camps to monitor his disciples’ practice and progress. He has been practicing Yoga for more than 4 decades. He is a Karma Yogi with a mission to unite and integrate people of the whole world by a strong bond of Unconditional Love through Kriya Yoga. Sadguru was invited to various seminars all over the world. He has participated six times in the World congress on alternate healing. With his dynamic guidance, the Foundation is involved in many social and charitable activities such as Eye pledge We pledge program which has gathered 1 million pledges till today. Our Foundation, a registered charitable Trust, is established by Sri Sri Mangeshda to carry out charitable work and imbibe in his disciples a habit of doing selfless work. Main aim is to help the society to lead a healthy, balanced and peaceful life through Kriya Yoga. 76 centres world over, spread Sri Sri Mangeshda’s message of ‘UNCONDITIONAL LOVE & UNCONDITIONAL FORGIVENESS’ for integrating mankind irrespective of caste, creed and religion, on the path of humanity. Free Kriya Yoga Mega Shibirs by Sri Sri Mangeshda and regular ‘Yoga and Meditation’ sessions by trained teachers. Published a booklet on Kriya Yoga in ‘BRAILLE’, a first of its kind in the world. With his dynamic guidance, the Foundation is involved in many social and charitable activities such as “Eye pledge We pledge” program which has gathered 1 million pledges till today. Spiritual Village – ‘Sadguru Mangeshda Kriya Villa’ at Raigad Dist., a centre for rejuvenating body, mind & soul is coming up around Mumbai, India.